With 32 years experience of Acupuncture and Chinese Medicine clinical practice, Dr. Li was also an associate director of Department of Acupuncture of Jinan Hospital of Traditional Chinese Medicine as well as an instructor of Shandong University of Traditional Chinese Medicine before coming to USA. Dr. Li has published two books involved in Clinical and laboratory research on acupuncture and Chinese Medicine. In addition, she has been a columnist for Journal of Popular Medicine for more than three years. She is determined to help patients stay in a natural health condition instead of a medication-dependent condition with all possible efforts. 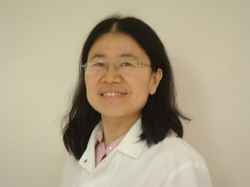 Her skillful Acupuncture technique and valuable Chinese Medicine clinical experience will help you in many aspects.